Żubrówka – not just another vodka, a vodka like no other! Our story begins 600 years ago, deep in the pristine Bialowieza forest, far away in north-east Poland where an enlightened king, Casimir the Great reigned over the kingdom and saw Polish alchemists master the distillation of Polish ‘wodka’ for the first time. These alchemists learnt that by infusing their spirit with the essence of bison grass, they could create something wild, intangible and utterly captivating – a unique herbal vodka. This pristine forest is now the last fragment of a once great forest that cloaked Europe 6000 years ago. Today, around 500 bison’s roam free, thus it remains the home of the national animal of Poland, the powerful yet sensitive bison, the proud icon of Żubrówka (Zu-brufka). Its exact location is known only to 20 families, who have been entrusted for generations to harvest the grass every spring/summer. These families dry the grass in their own homes by hand. The bison grass is also part of Polish history and heritage and it the most favourite grass for their native hero, “Zubr”, meaning native bison in Polish. 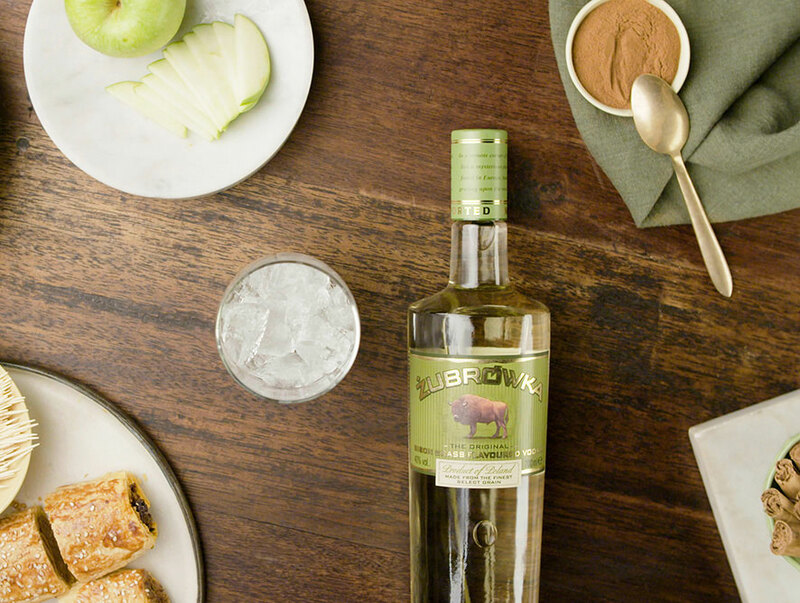 The bison grass is the most important ingredient for Żubrówka as this ingredient that can only be found in the elusive Polish forest. Thus, instantly Żubrówka is a herbal vodka that is truly unique. Żubrówka Vodka is unlike other vodkas due to its botanical-like characteristics. Claimed to be the oldest vodka in the world, it is made of all-natural ingredients and it is also handcrafted. Each bottle is physically hand-decorated with a single blade of seasoned bison grass. But the real secret to Żubrówka’s success comes down to taste, flavour, heritage and passion for the brand. Vodka is part of the Eastern European’s culture and they drink it for every occasion. 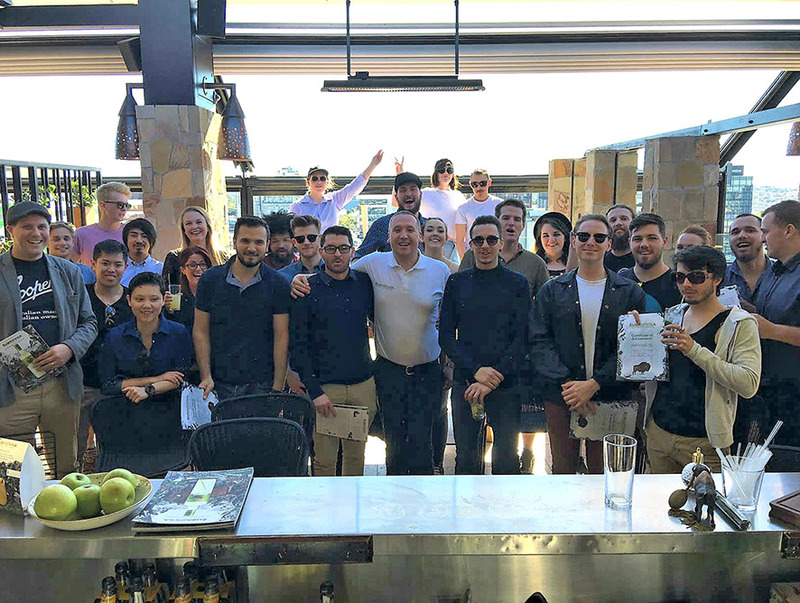 Australian bartenders recently had the pleasure in meeting Przemysław (Preh-zemy-slaw) Matuszewski, Zubrowka brand ambassador, affectionately known as Prem to the locals. “I was surprised at how many people recognise the Żubrówka brand, but they need to know more about the heritage and what makes Żubrówka so unique” explained Przemysław. 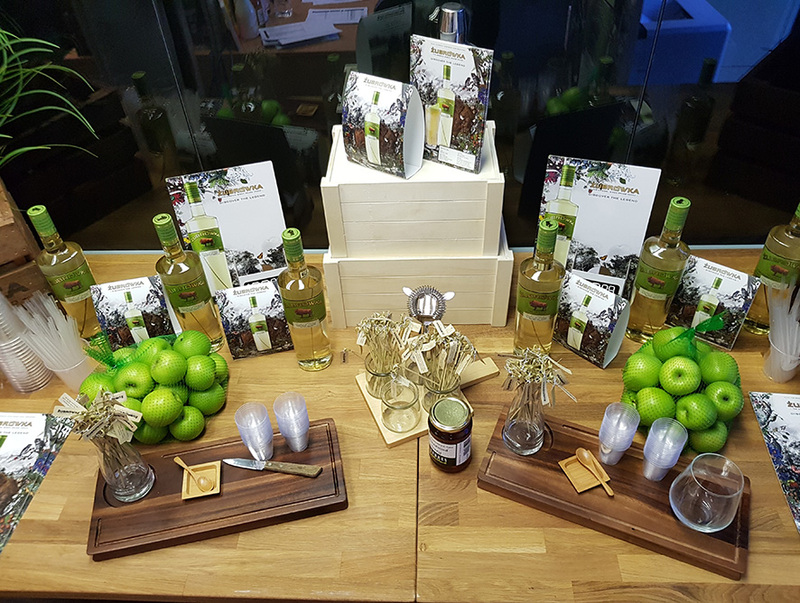 There are various combinations in drinking Żubrówka, apart from those who like to drink it neat with apple wedges, the Apple Zu is a favourite due to its refreshing and appealing taste. We asked Przemysław how he likes to drink Żubrówka and he laughingly stated, “the most important thing is to drink it in the way you like the most”. And, to remember that it pairs very well with food. In fact, in Poland, it is tradition to drink Żubrówka with every meal. Although rich in heritage and claiming its existence hundreds of years ago, the Żubrówka vodka bottle is undergoing a new look. The new bottle design is a transformation that enhances the premium quality of the brand, bringing Żubrówka back to its roots, whilst maintaining its modern iconic design. It maintains the current elegant, modern, tall and slim bottle. It introduces an innovative labelling system by printing the forest scenery at the back, which creates a unique 3D window effect displaying the iconic bison. The foiled logotype and transparency of the front design also add to the modernity of the new packaging and the new innovative design significantly enhances Żubrówka’s unique provenance. The new bottle will be making its Australian appearance on shelves later this year.